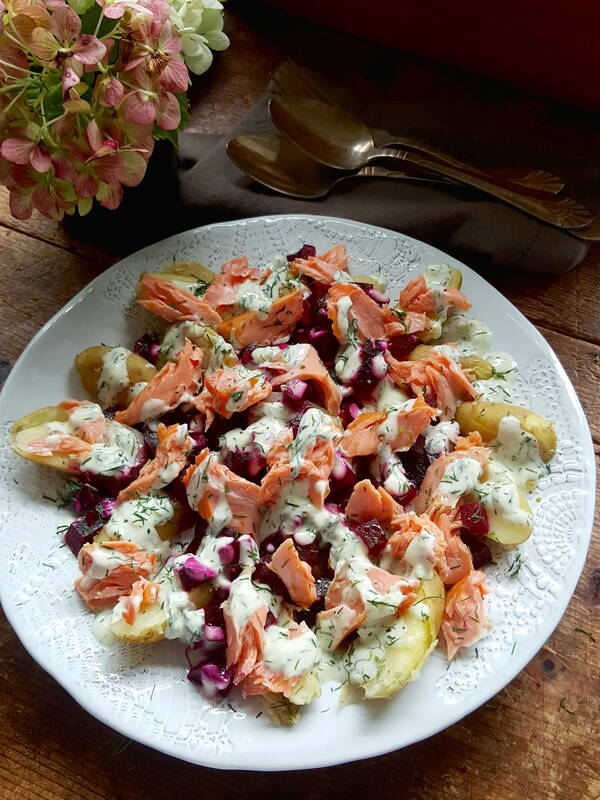 Hot-smoked salmon salad, beets & potatoes - summer on a plate! 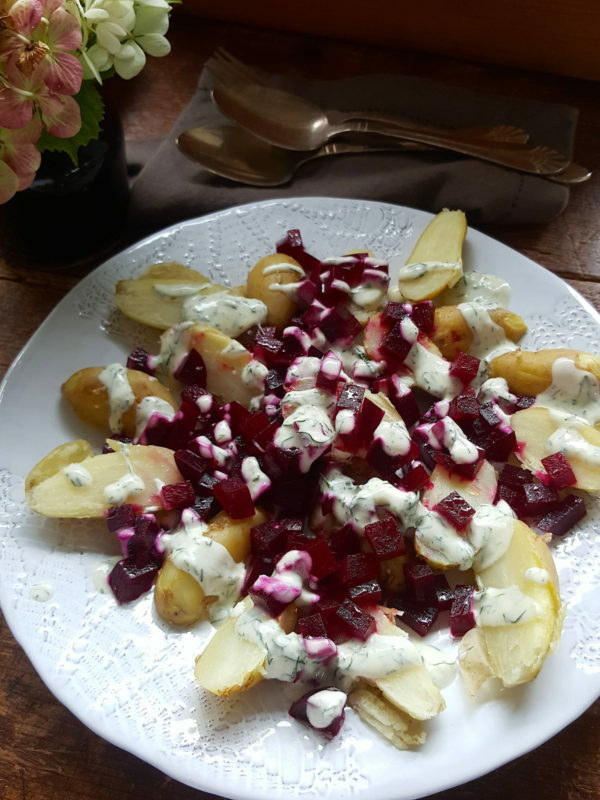 This works well as a shared plate or summer starter, or as a main course for a summery or autumnal lunch. 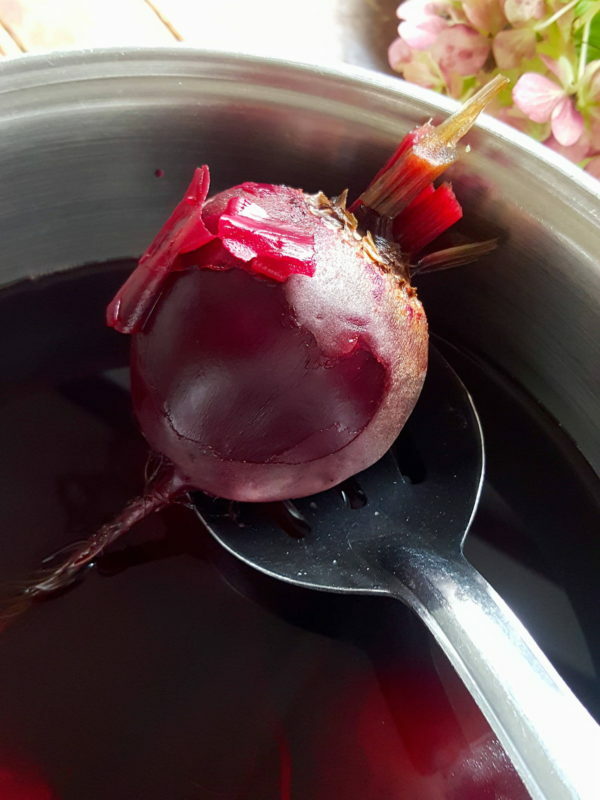 1 Steam or gently boil potatoes. Drain, cover with paper towels and cool. 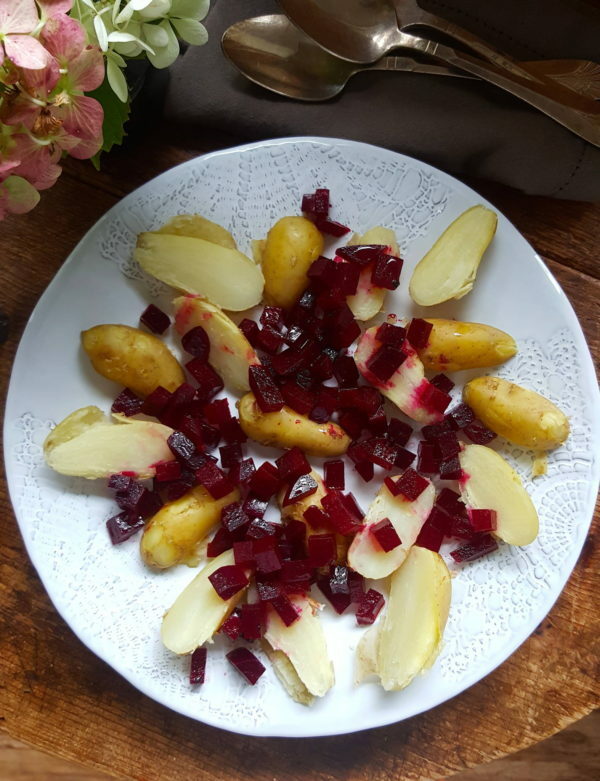 If the potatoes are small, leave whole, or cut in half or slice. 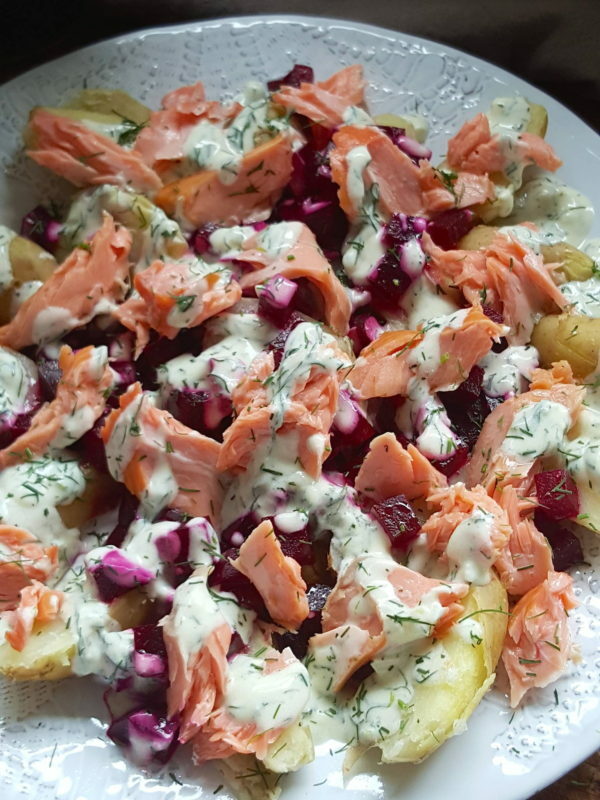 3 Assemble salad with a layer of cooled potatoes, spoonfuls of diced Pickled Beets, flakes of fish and dollops of Yoghurt Dill Sauce. 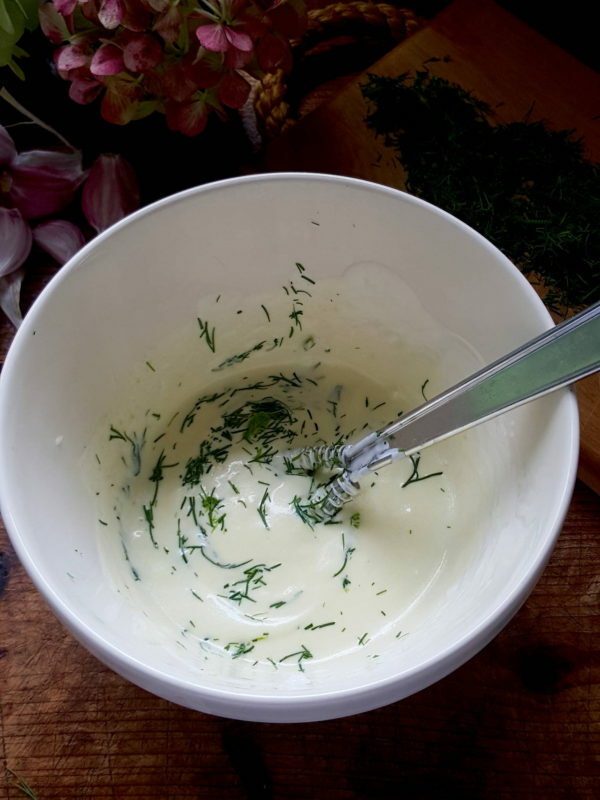 Scatter with chopped dill and serve. Labna and dukkah and dukkah and labna ... make it your summer mantra.